If you're like me, you've been waiting for an easy way to customise your layout more for your Blogger.com blog on one of the dynamic views theme. So for me, previously when I tried to make changes in the Layout Settings, these changes didn't fall through into the actual website very well. 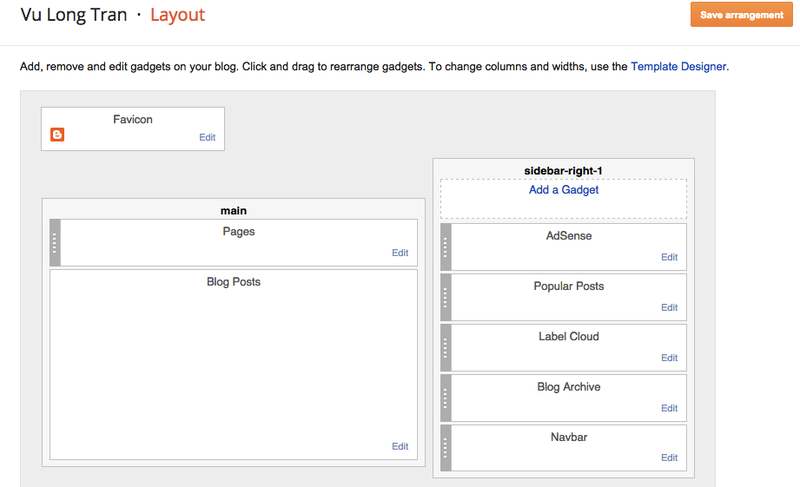 That is, when I had the Dynamic Views template set for my Blogger.com theme. Well, there's still some bugs there, as not all the modules/ gadgets that I have added worked. But the key one that I really wanted to work was. Right now, I managed to get a nice pages view up for my blog. So now I have a menu for my page that's visible from the get go! This is a big change from the viewing options that were there in the past (which are now in the "Timeslide" drop down menu that you'll see in the first picture below). So you may be wondering how I discovered this change? Well, in the AdSense section of your Blogger.com account, there is a "Customise further with Advanced Ad Set-up" link. You click on that and it takes you to the Layout settings and changes made actually kick in now. Some better than others, but it's worth checking out again. Let me know how you fellow Blogger.com bloggers go when you try make changes. You may have heard from friends, family or colleagues about a place called "Pulau Ubin". So you're wondering what is Pulau Ubin and where is it? 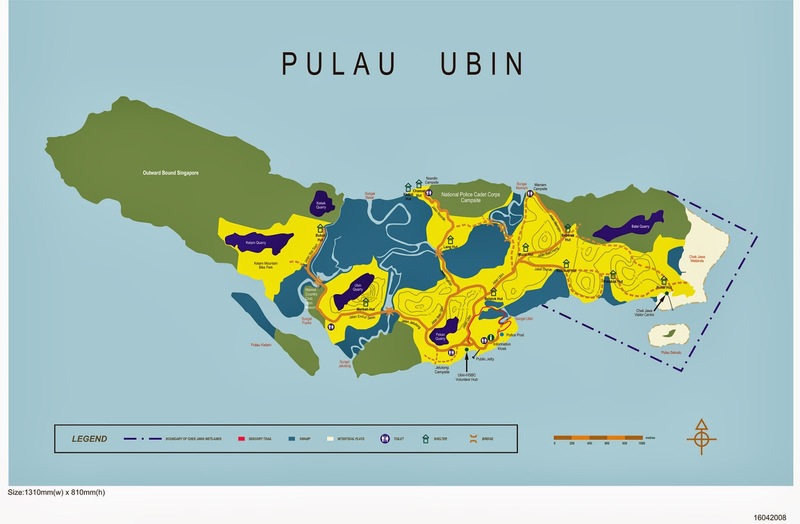 What is Pulau Ubin island? Well, it's an island. "Pulau" means "island in the Malay language. It's an island of Singapore that is a 30 minute bumboat ferry ride from the main Singapore mainland. 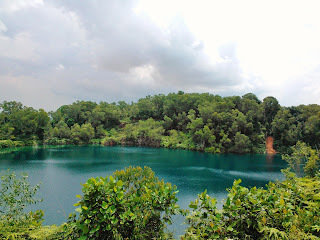 That's right, it is still in Singapore, so it's a place of santactury and a great place to let yourself be with nature. It's actually of the few little islands in Singapore that have been purposed for use as a nature island. As most of Singapore's islands (yes Singapore has more islands) are used for different purposes (e.g., leisure, military, chemical/ energy and waste). In this case, it's more the leisure and nature island so you'll find it is sometimes used for school camps, etc. I generally find Pulau Ubin island to be great for the adventurous type of person. That is, those who keen to explore nature and bike/ walkways. If you're one of those really adventurous and sportly types, it's a great place to test your biking/ cycling skills in some cycling and BMX tracks that they have on the island. 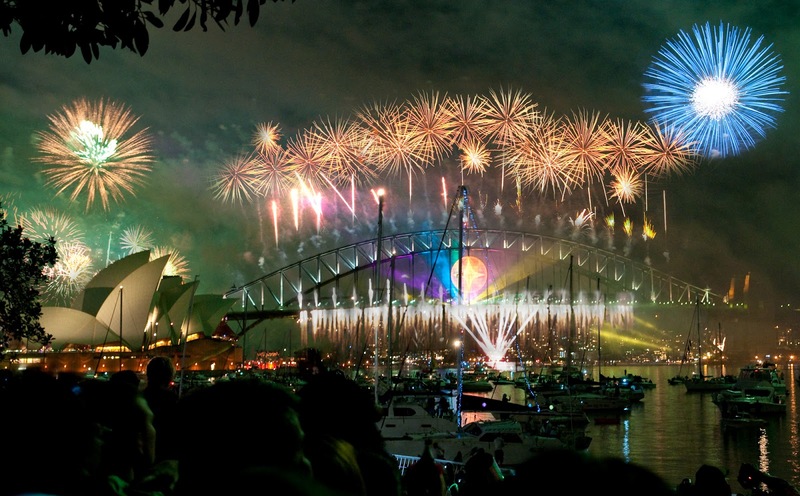 You can also discovering a new place on foot or riding around on a bicycle. You can bring your own bike or hire one there. 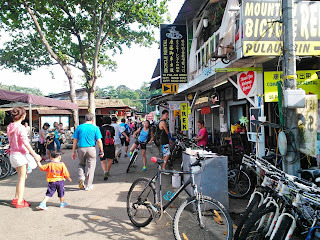 So how to get to Pulau Ubin island in Singapore? There is only one way to get there and that's by bumboats. Bumboats operate from Changi Point Ferry Terminal from about 6am until about 8-9pm. It really depends on the bumboat drivers but normally those are the typical operating hours. Here's my guide on how to get to these bumboats and to Pulau Ubin for more details. 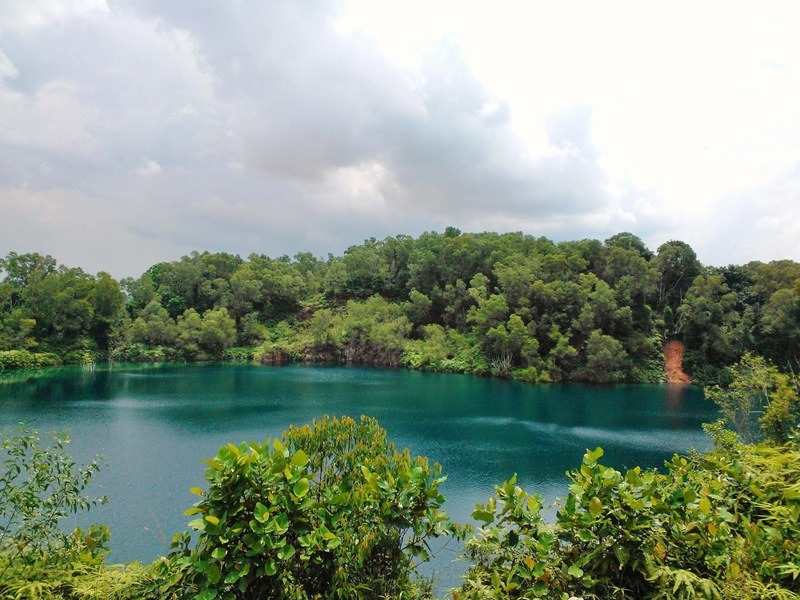 What to do at Pulau Ubin, Singapore? There are trails in all directions at Pulau Ubin island. With the key directions being towards the east, west and north, with most people heading westwards towards a wetland called, "Chek Jawa Wetlands". There's a diamond cycling track and a bunch of other cool tracks depending on your cycling appetite. 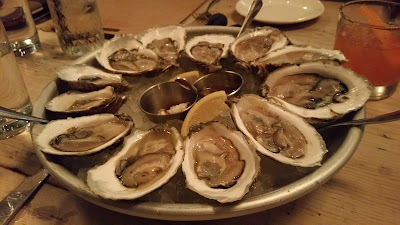 I was in Boston in September and October this year, and it was oysters season. Now I don't know if this is the norm, as the last time I was in the US and there was an oyster festival it was after the BP oil spill. So New Orleans had a oyster festival to promote their seafood. Either way, I was swamped with so much choice of oyster varieties. Luckily, one restaurant was serving a oyster platter special so I was able to sample a bunch. So I wanted to highlight my favourites from Legal Seafood's oyster platter special. You will definitely have your own favourites, but if you need help deciding, here are my favorites. I liked Glidden point oysters as it was big and delicious. Sandy neck oysters was indeed really Sandy but sweet. I found Naked cowboy oysters had more of a briny taste that I liked.